Irrespective of poor and rich the majority community in Manipur burns Agarbati at least twice a day while worshipping the Hindu God or the local Deities. 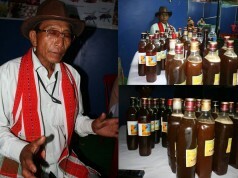 With this philosophy Naorem Tamubi Devi of Kakching Paji Leikai started making Agarbati in the year 1983. 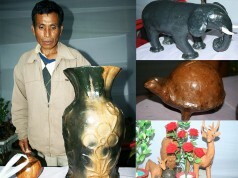 She was trained the art of making Agarbati from one Sarat of Uripok. She also trained many women on the art imparting skills by becoming a trainer and her first class comprise of 31 trainees. 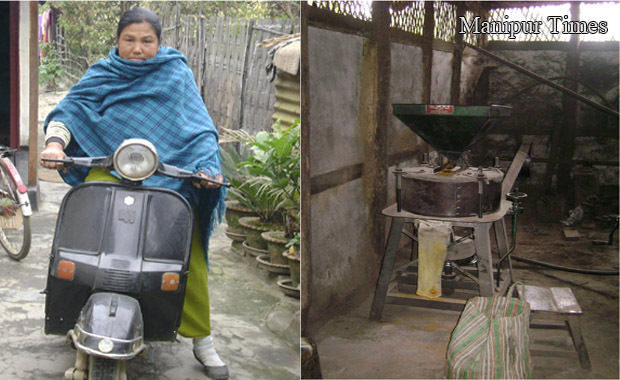 Now she has been running her own industry TD Agarbati Industry in Kakching. We were trained on making Agarbati from Sandalwood, Leihou, some other favourable smelling trees and flowers like Thambal (Lotus) etc. “I start off my journey to sale and deliver the products since early morning by my scooter reaching almost all parts of valley namely Khurai, Malom, Samurou, Sherou, Kaaina, Heirok etc. says 60 year old Tamubi who is mother to four siblings. I came across different customers some of them took my product out of sympathy. Some for testing my product while some of them mockingly. 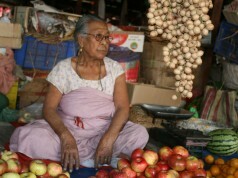 It was hard time in the beginning as the local market was dominated by well packaged imported goods. From her first lesson to a successful entrepreneur Tamubi has also trained many interested womenfolk who are running good business at different places. 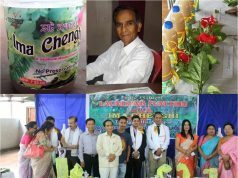 “The business was not that much fruitful earlier since the raw materials were imported from outside Manipur, mainly from Bangalore. There were no benefits for the employees. I became curious on the local resources and asked my husband to search the jungle. We came up with a tree locally named as Thang Hidak by the hill people. The bark of the tree has sticky properties so we grind them and powdered it for an easy stick to the Agarbati making process. 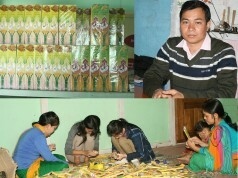 With the production of our own raw materials the business became very effective till today. Currently her industry focused mainly on providing raw material in the market. Tamubi a Class V school dropped out posses’ versatile personality in different fields of handicrafts, embroidery, flower making, music, drama, creative writing. Her book ‘Praloigi Meiri’ has sold number of copies. She received the Master Craftsmen State award in the year 1983 for her hand embroidered masterpiece ‘Kanglasa. The award was given by Directorate of Industries, Manipur. Her work is being kept at State Museum for all to see. 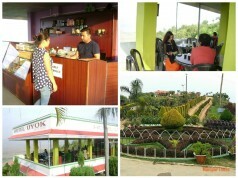 Currently she operates Flower Making, Yoga training and Computer training centre. In regard to this she says “anyone can buy the grinding machine and produce the same, so it compel me to expand my business in the trust area as it is the computer age”. She is also a visiting teacher at different schools on flower making. She regrets her illiteracy and opines that besides being educated one should also give thrust on earning means. 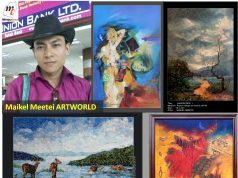 Agarbati making is contributing a lot to the State economy and the art of making the same product is practice in leisure time by many as it could be home base. The process is practiced out of passion by many and nowadays the sight of drying freshly glued Agarbati sticks at the courtyards is a common phenomenon says Tamubi. Next articlePony count is hardly 1000 at present.